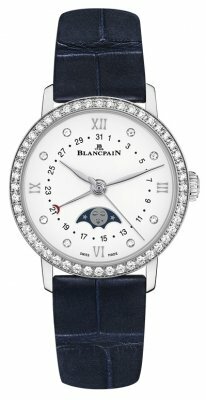 Dial set with 8 diamond & 4 applied polished stylized Roman Numeral hour markers. 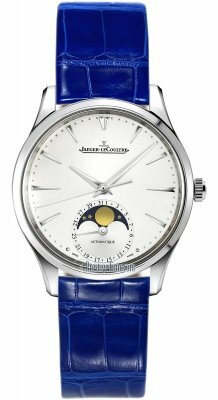 Date indicated by the red tipped central hand which points to the current date. 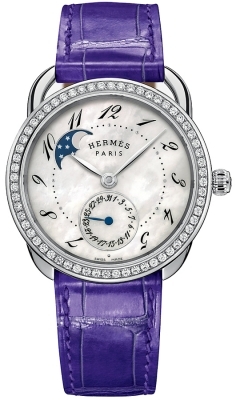 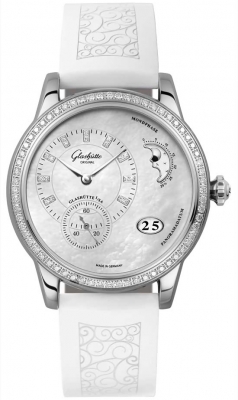 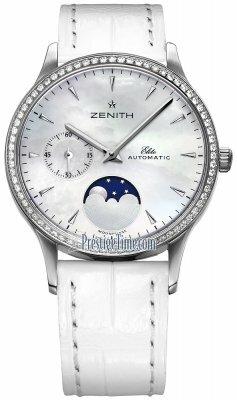 Moonphase apperture located above 6 o'clock. 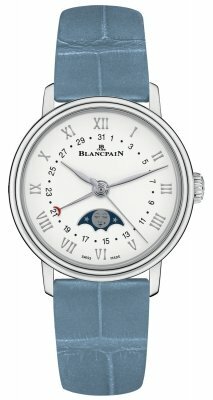 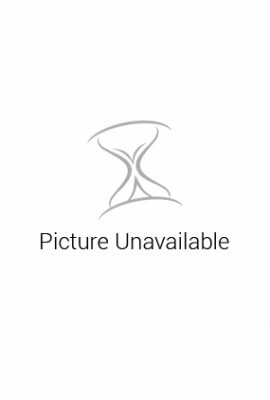 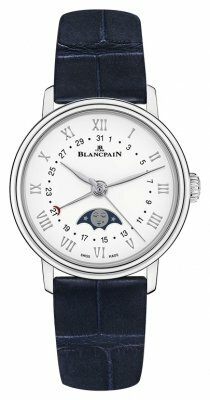 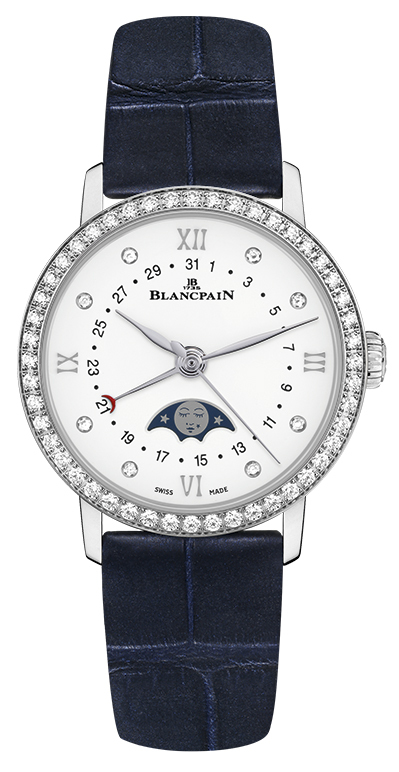 Blancpain Caliber 913QL, with a silicon hairspring, contains 20 jewels & has an approximate power reserve of 40 hours.